We just wrote about shopping at Costco for gluten free foods. And we wanted to prove that it is certainly worth it. 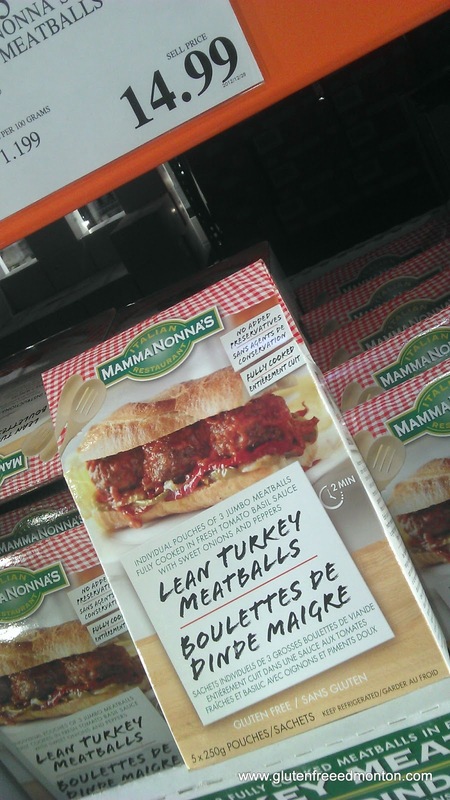 We bought the gluten free Mamma Nonna's turkey meatballs that are available in the frozen foods section of Costco. (We shop Edmonton's west end Costco) These meatballs are marked gluten free on the packaging. It didn't take long for us to try the meatballs because who doesn't like a good meatball? We have our own meatball recipe that we make (more of a Jewish recipe rather than Italian). So we really wanted something different. Mamma Nonna's meatballs come vacuum packed in marinara sauce in sets of three and there are 5 pouches. Thats a lot of meatballs for $15. And these are not small meatballs either. Although the packaging shows the meatballs in a sandwich, we wanted gluten free spaghetti and meatballs. Amanda notice quickly that there was not really going to be enough sauce for a pasta meal, so she just pulled out her favourite sauce to mix into the pasta. The meatballs themselves were not hard to prepare. You boil water and put the packaged meatballs right into the boiling water. The instructions said 2 minutes of boiling, but Amanda said she it really needed longer. 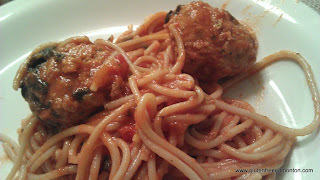 The tossed the meatballs in with our gluten free spaghetti, some extra sauce and chowed down. The meatballs were really good. The gluten free meatballs were well seasoned and not bland at all. The taste reminded me of the meatballs we used to have in Italian wedding soup. We hope you also enjoy these quick ready made meatballs!